Welcome to our SHOT Show 2019 news page! Every year, we strive to provide you with the most comprehensive coverage of the SHOT Show with information about new guns, new ammo and all of the other shooting accessories that are introduced at this giant industry event. In 2019, we have some amazing coverage planned! If you are reading this page before the show starts, the SHOT Show rumor section may be of greatest interest. However, some companies may make announcements prior to the show start. The publicly announced guns will go into the “confirmed” categories. If I am able to confirm a rumored gun prior to the show, these will also be listed in the confirmed categories. If you are a website or news outlet that would like to use my photos in your coverage, you may be granted a limited license to do so. More information is in the photography section below. As we are able to gather information about new handguns at the show, we will post them here. Also, we will post new pistols and revolvers that we are able to confirm before the show starts. 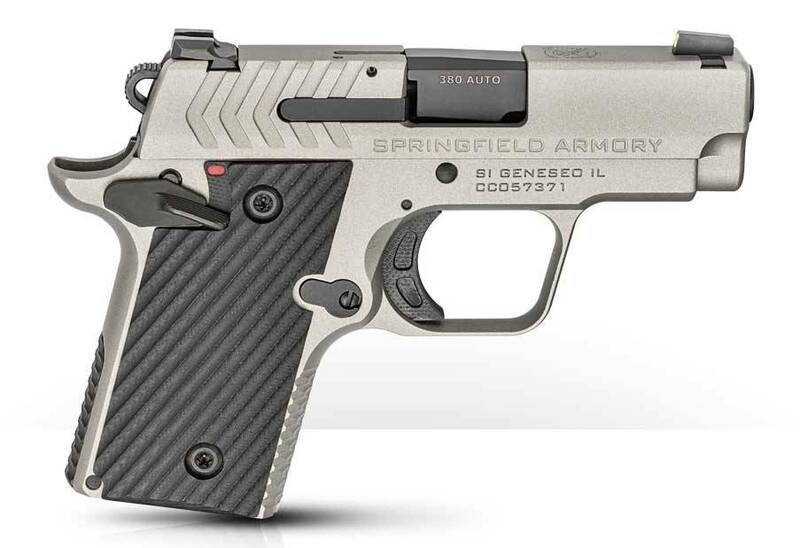 Springfield Armory pushes its hammer-fired, single-stack pistol line forward with two new additions: one with a 3.8″ barrel and one with a 4.5″ barrel. These new guns are based on the original XD-E and have the same height of those guns. As the barrel/slide assembly of a pistol tends to be the easiest thing to conceal when carrying IWB, and offers the benefits of both increased bullet velocity and a longer sight radius for more precise shooting, the longer barrels should be a welcome addition to the line. Both of the new versions have a MSRP of $542. The XD-E 4.5″ is shown above. Ed Brown Products and ZEV Technologies teamed up for a pair of new pistols in 2019. 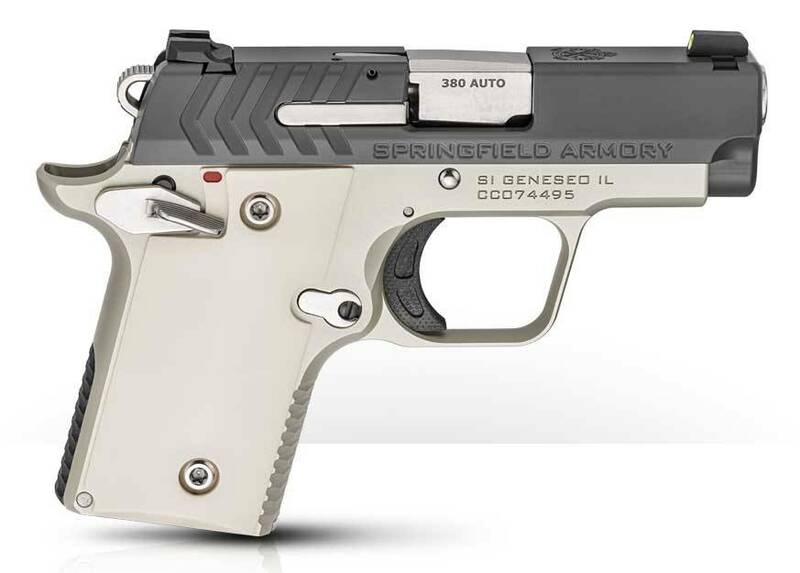 One of them is this new gun called the FX1 ZEV19 RMR 9. Catchy. The gun is a limited edition run that will only be offered this year. It is a 1911-style pistol chambered in 9mm. It has a single stack Government frame with a 4.25″ Commander slide and barrel. It includes the Orion slide cut package from ZEV along with the Alien metal treatment and dimpled barrel. The barrel is threaded for a suppressor. On top is a Trijicon RMR with tall night sights for co-witnessing. Additional features include VZ Grips, an ambidextrous safety, accessory rail and an included thread protecting cap. Pricing starts at $4995. FN America announced its new 509 Midsize pistol. Based on the full size 509 guns that have gotten positive reviews, the new gun offers a slightly more compact form for easier carry while maintaining enough size and capacity for duty use. The new 9mm handgun has a standard magazine capacity of 15 rounds with 10 round mags being optional for less free states. Full size FN509 magazines will work in this gun with a spacer sleeve. FN equipped this gun with a 4″ barrel, a new trigger (it has a flatter face) and redesigned adjustable back straps (new texture for better feel and control.) Standard pistols ship with fixed 3-dot photoluminescent sights. Base price: $649. 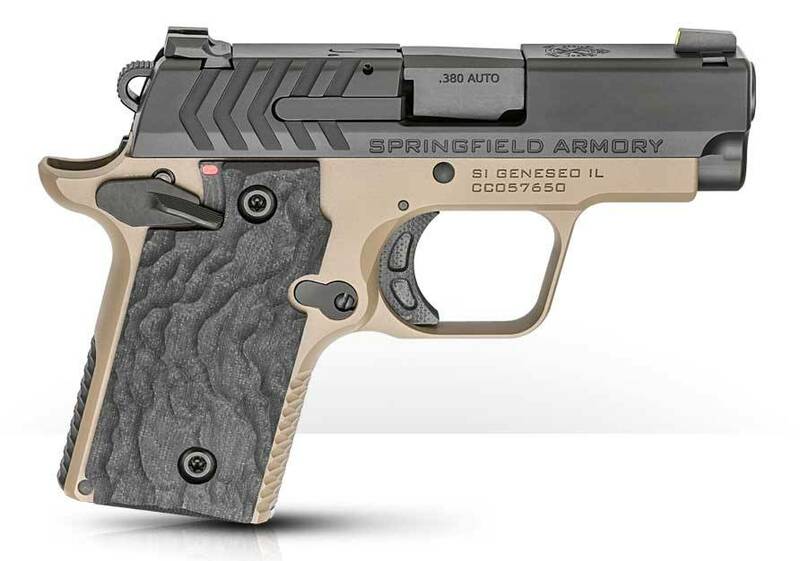 Springfield Armory will show all of its new color combinations for the 911 .380 ACP pistol at the show. 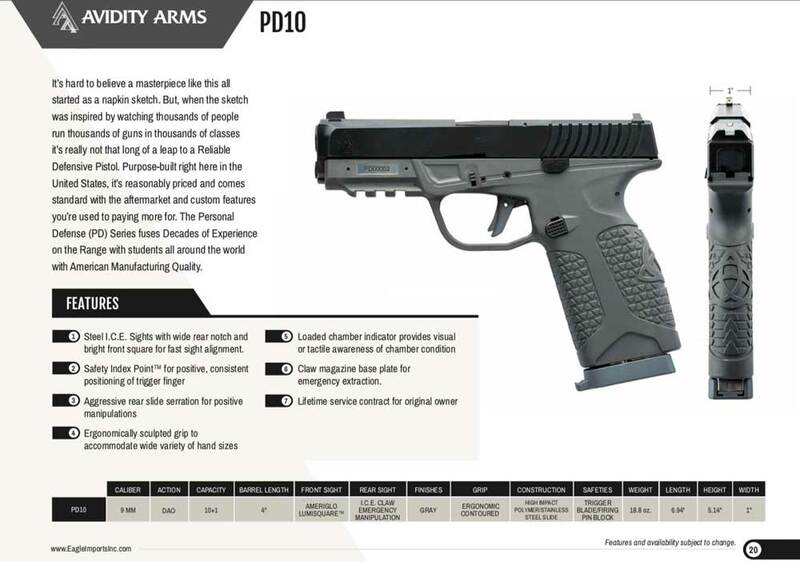 The Avidity Arms PD10 is a great idea, but I know some people have lost interest in it due to the perception of it being vaporware. While that may not be an entirely fair position – it takes years for new guns to develop – having a multi-year lead time between announcement and delivery isn’t necessarily a winning position. 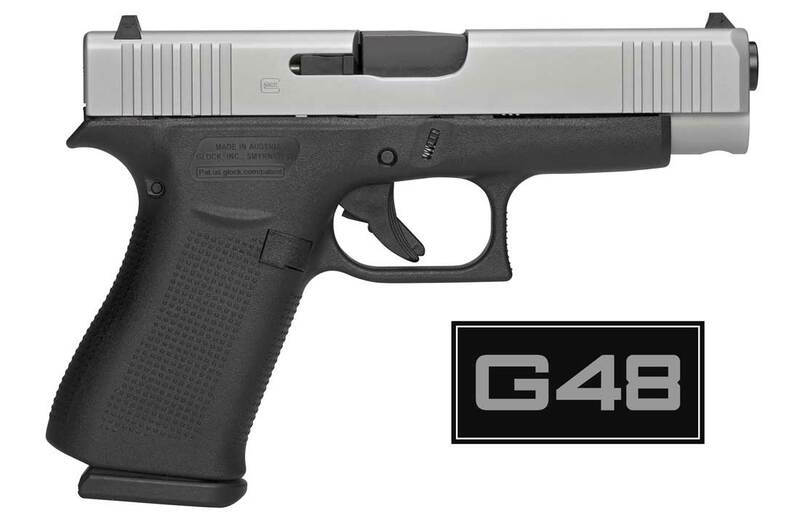 Especially when new competition like the Glock 48 comes to the market in the intervening time. Will we see the single stack 9mm pistol make its way onto dealer shelves in 2019? Only time will tell. Standard Manufacturing announced a new revolver that looks very different, has two barrels and claims to fire “2 rounds simultaneously.” The new S333 (this is different from the Brownie-like S333 prototype the company showed at previous SHOT Shows) presumably doesn’t meet the US federal law definition of a machine gun. I’m not an NFA expert, so I’ll just give you the details on the gun as they are presented by the company. The gun is a compact revolver chambered for the .22 WMR cartridge. It holds 8 rounds in the cylinder and has two barrels. Instead of a normal trigger guard, this weapon has a partial guard with a shallow W shaped trigger. Oddly, the trigger has Glock-like trigger safety on its face. Both the 1.25″ barrels and cylinder are made of steel while the frame is crafted from 7075 anodized aluminum. Unloaded, the gun weighs 18 ounces. Both of the hammers are contained within the gun’s housing. The suggested retail price will be $369. The company claims “THESE REVOLVERS ARE FAR MORE SUPERIOR TO ANY OTHER AUTOMATIC PISTOL WHICH ARE RENDERED USELESS WHEN THEY JAM OR MISFIRE.” Your mileage may vary. O.F. Mossberg & Sons announced an all-new handgun for 2019. 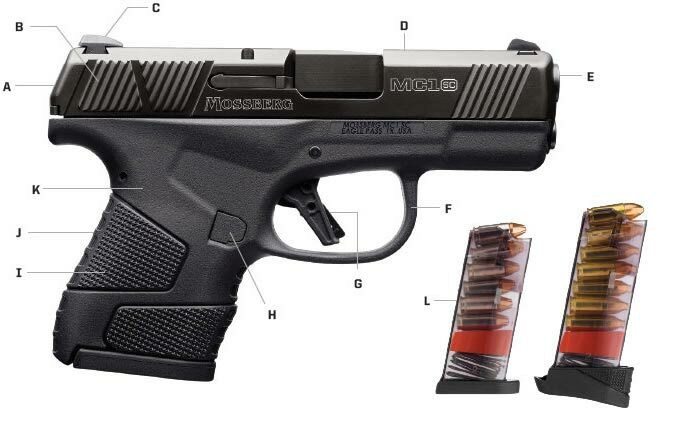 The Mossberg MC1sc is a 9mm pistol designed for concealed carry and self defense. It offers 6+1 rounds of 9mm in a flush fitting magazine with a polymer frame and stainless steel slide and barrel. There are a number of interesting variations on this gun right out of the gate, and it has a very competitive price with a MSRP starting at $421. More information on the gun can be had in this Mossberg MC1sc article. 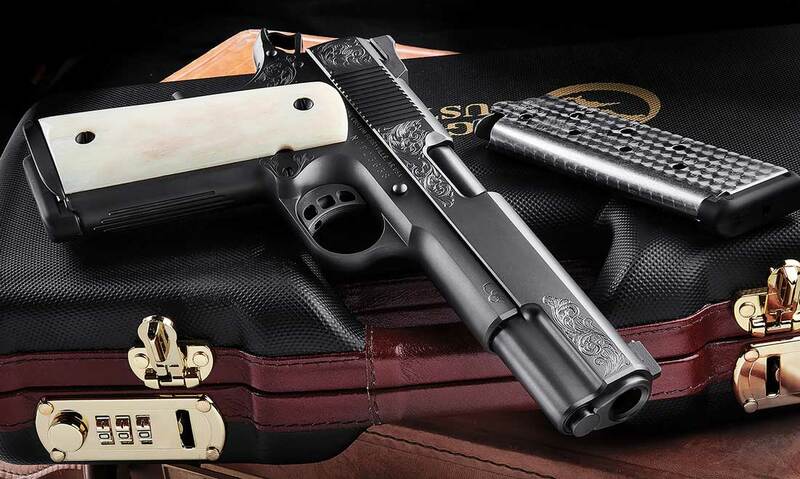 Nighthawk Custom announced a new 1911-style pistol called the VIP Black. As with many of this company’s pistols, the gun offers top end customization and a price tag to match. The $7,999 pistol is hand engraved by Bertram Edmonston and has a black diamond-like coating (DLC). It features a 14k solid gold front bead sight and grips made of giraffe bone. It comes in a walnut presentation case. And yes, it is chambered for the .45 ACP cartridge. 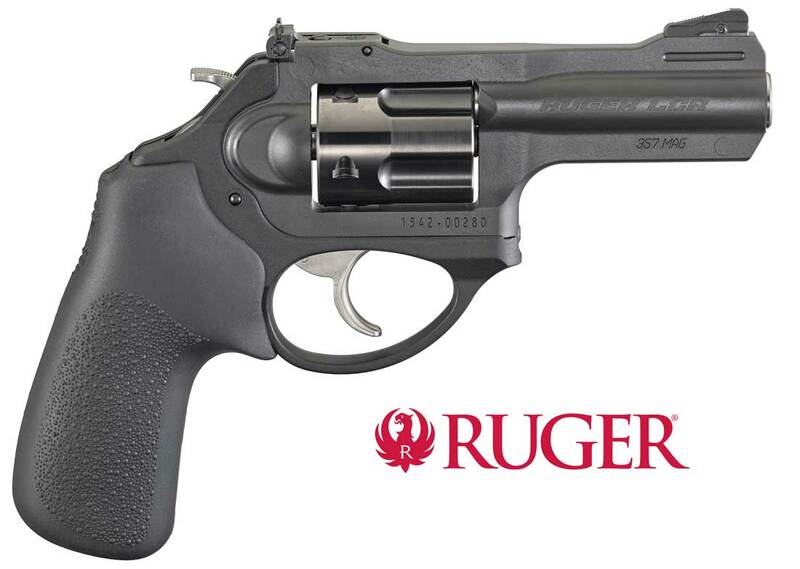 One of several new guns introduced by Ruger is the 3″ version of the Ruger LCRx in .357 Magnum. 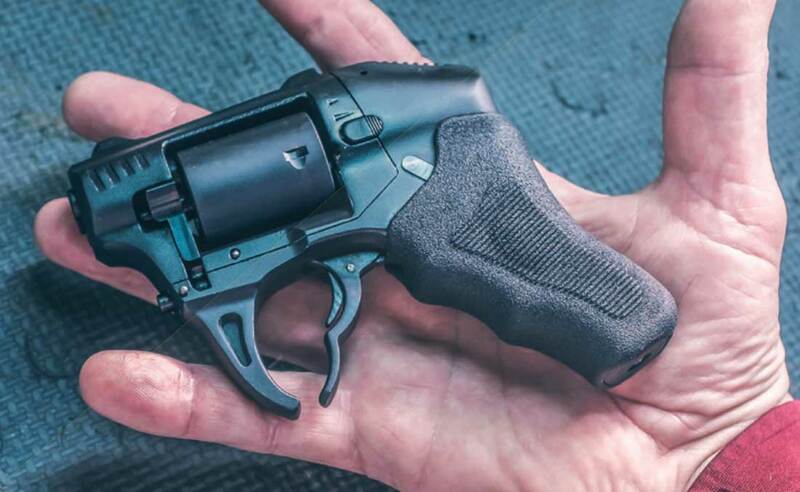 While the company already offers 3″ and .357 Magnum versions of this revolver, this is the first time it has offered the gun with both of those options. It is not a major new revolver announcement, but one that will likely please a number of wheelgun shooters. 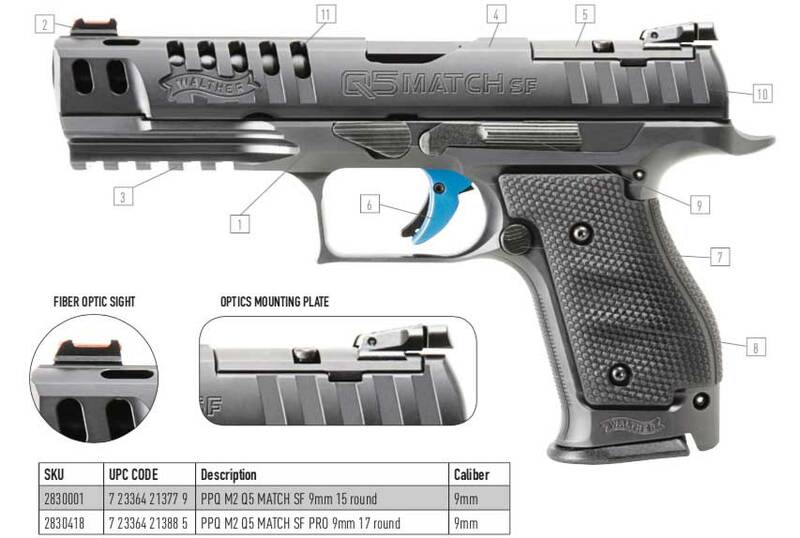 Walther continues to build on the PPQ line of pistol’s with a new competition gun. The new Q5 Match Steel Frame takes a hard turn away from the polymer frames used in much of the company’s current production. 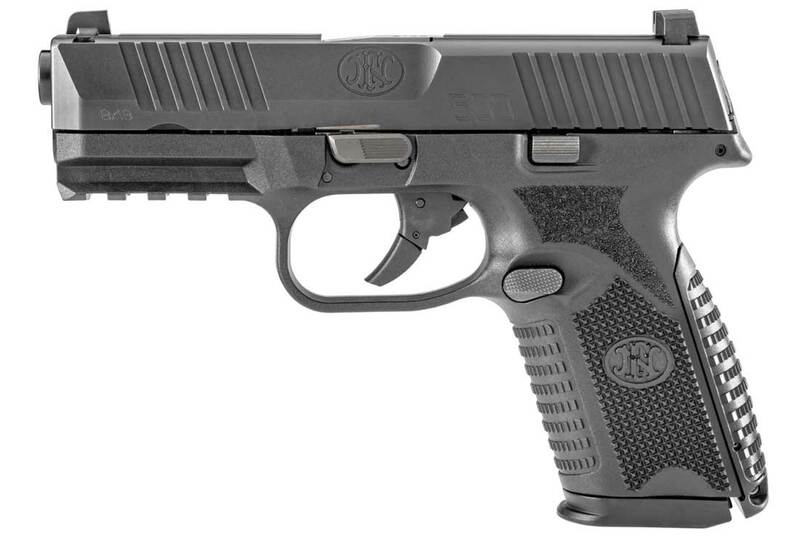 Walther uses all steel construction with extended frame rails with a wrap around grip panel. A Quick Defense Trigger is standard as is a fiber optic front sight, adjustable rear sights, a reversible magazine release, an optics mounting system, a ported slide and an accessory rail. The MSRP starts at $1,499. Magnum Research will show a new version of its BFR revolver chambered for the .500 Linebaugh cartridge. Versions of the gun will be available with 5.5″ or 7.5″ barrels and with your choice of standard polymer grips or Bisley grips. Pricing runs from $1,399 – $1,482. Glock formally announced the G48 pistol ahead of the SHOT Show. The new pistol for 2019 had been rumored for several weeks. Perhaps more importantly, the gun finally addresses the demand that many shooters have requested from Glock since the mid-1990s: a slim, single-stack G19 sized pistol. More information on the gun can be had here. 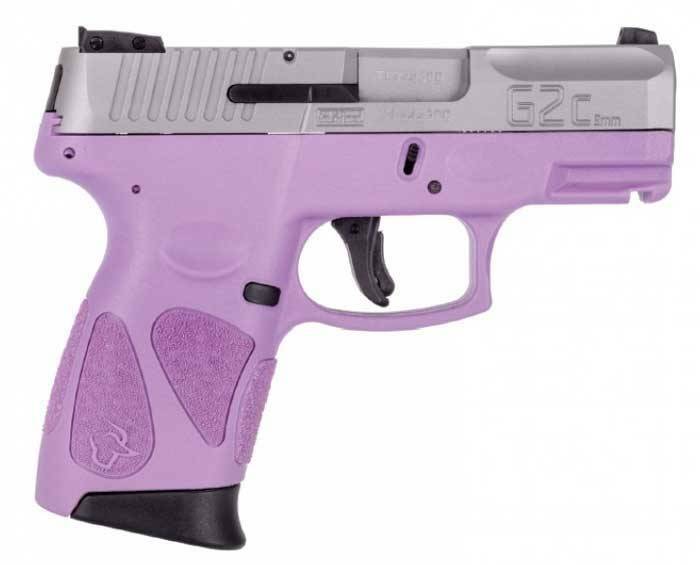 This is an interesting addition to the Glock family of handguns. 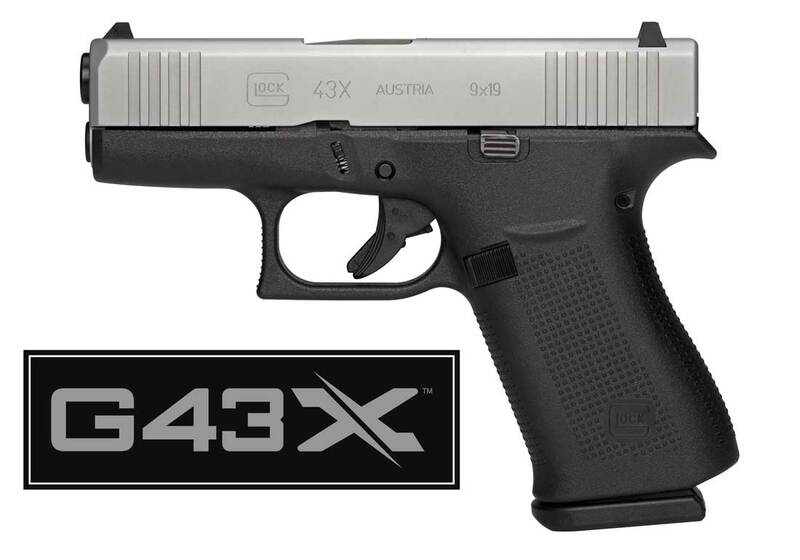 The G43X will hold 10+1 rounds and use the same magazine as the G48 (above.) Although it has a longer grip, the new pistol will retain the short barrel and slide of the existing G43. Glock elected to use a silver nPVD finish on the slide instead of the traditional black. While I don’t care for this design – short barrel with larger grip – I know that some consumers do. I expect that Glock will sell many of these. 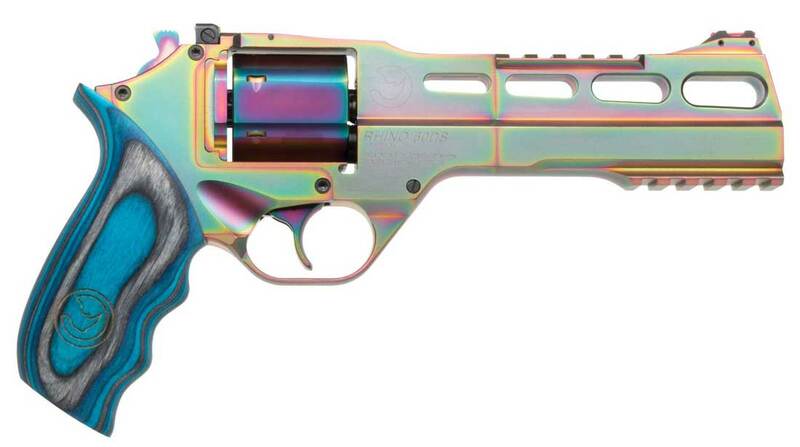 Colt will be showing the new King Cobra revolver at the SHOT Show. The new gun is an extension of the return of revolvers that began in 2017 with the Cobra. As expected, the new Colt King Cobra will be chambered for the .357 Magnum cartridge and hold six rounds in the cylinder. It has an exposed hammer, polished stainless steel finish and fixed sights with a brass bead front. The barrel is 3″, and the grips are synthetic Hogue Overmolded. 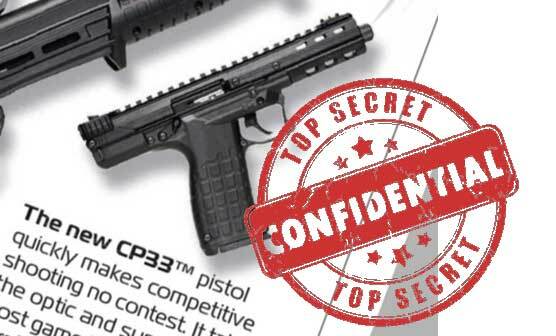 Leading up to the SHOT Show, there were some vague rumors about a new Kel-Tec pistol based on the existing PMR-30. Now, I have confirmed that the company will show a new gun called the CP33. However, details are still few on this gun. The new Kel-Tec CP33 pistol is similar in appearance to the PMR-30, but it does have some significant differences. First, the CP33 is chambered for the .22 LR rimfire cartridge and feeds from 33 round magazines. Second, it has a non-reciprocating operating handle located at the rear of the extended portion of the upper. Next, the new gun has a full length optics mounting rail in addition to the adjustable fiber optic sights. Also, there is no under barrel accessory rail. Instead, the barrel shroud has M-LOK attachment slots. As an added bonus the barrel is threaded for the addition of a sound suppressor or other muzzle device. The suggested retail price is $475. Kel-Tec seems to be marketing these as competitive guns suitable for long range targets. As I confirm additional information, I will post it here. Stoeger Industries will introduce a full size 9mm pistol at the SHOT Show. The new gun is a striker-fired, polymer-framed pistol that is similar in size to the Glock 19. However, the gun will be much more affordable than the Austrian offering. The Stoeger has a suggested retail price of only $350. The STR-9 features 15 round magazines as standard capacity with a 4.17″ barrel. Unloaded, the gun weighs about 24 ounces. The back strap is swapable to better fit different hand sizes. It has an accessory rail for adding a light. Other features include front slide serrations and a rear sight with a hard front edge that should work for one hand slide manipulation. Stoeger is known for making good quality shotguns. 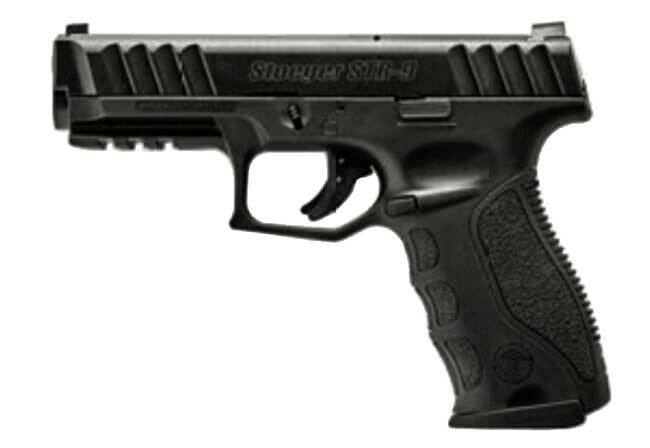 As the company’s Cougar pistols started life as Beretta handguns, I wonder what, if any, role the APX had in the development of the STR-9. Iver Johnson will be showing (again) its four barrel pepperbox-style handgun this year. This seems to be a gun that is always shown at the SHOT Show, but never quite makes it into production. I’ve seen prototypes of this gun for years now. It used to be called the Frontier Four. Iver Johnson states the gun should begin shipping in January 2019. If true, the Pocket Ace pistols at the show should be actual production guns. These guns are four barrel handguns that weigh about half of one pound. They are chambered for .22 LR and are about 4″ total in length. Manufactured by Pietta and imported to the USA by EMF (Early & Modern Firearms Co.), the new U.S. 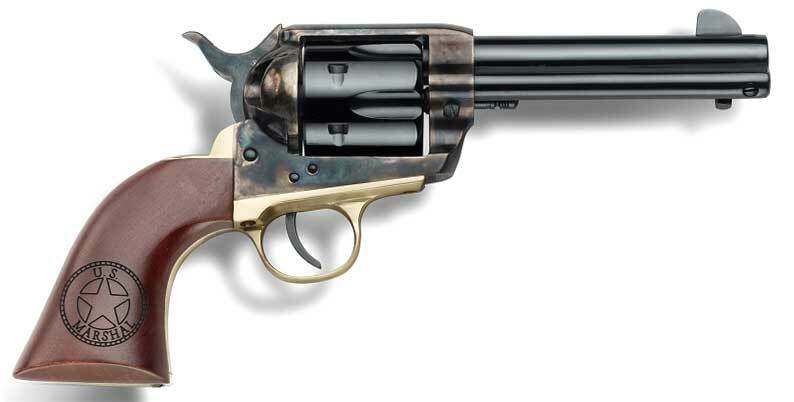 Marshal is a single action revolver designed to honor the US Marshals Service. Available in both .357 Magnum and .45 Colt, these wheel guns are part of the Great Western II (GWII) line. Unlike the existing Californian in the same GWII line, these guns will have brass trigger guards and backstraps. Additionally, the one piece walnut stock will have a laser engraved US Marshals badge on both sides. This gun will have a 4.75″ barrel. The MSRP on this gun is $535. Charles Daly will show a new PAK-9 kit at the SHOT Show. The kit includes adapters so you can run Glock pattern magazines and attach an arm brace to it. Neither Glock magazines nor an arm brace are included with the kit. The standard PAK-9 pistols use Beretta 91 pattern magazines. The kit will have a suggested retail price of $619. This gun was originally introduced at the 2016 SHOT Show and had a working name of AK-9 then. Chiappa surprised a number of people with its Rhino revolver. I was one of them that was surprised at how little recoil these .357 Magnum guns had compared to traditional revolvers. For 2019, the company is offering a limited Neblua edition that uses a special PVD finish. The grips are a blue laminate. If you like the style, it will cost you. The MSRP is set at $1,509. 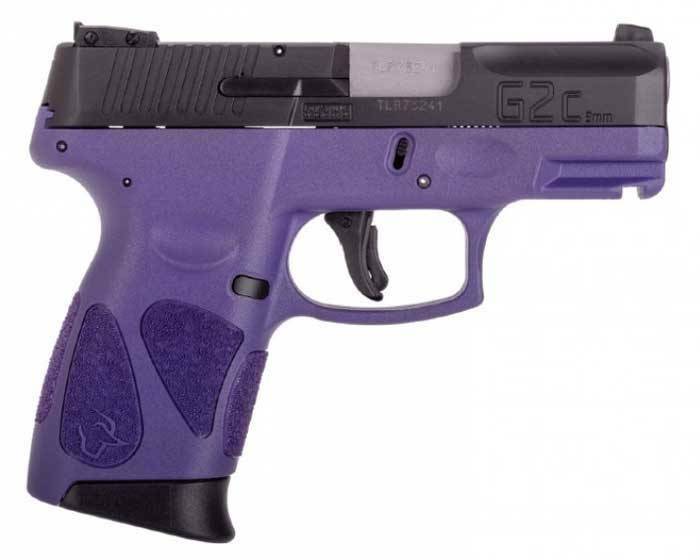 Taurus G2C pistols seem to be popular. 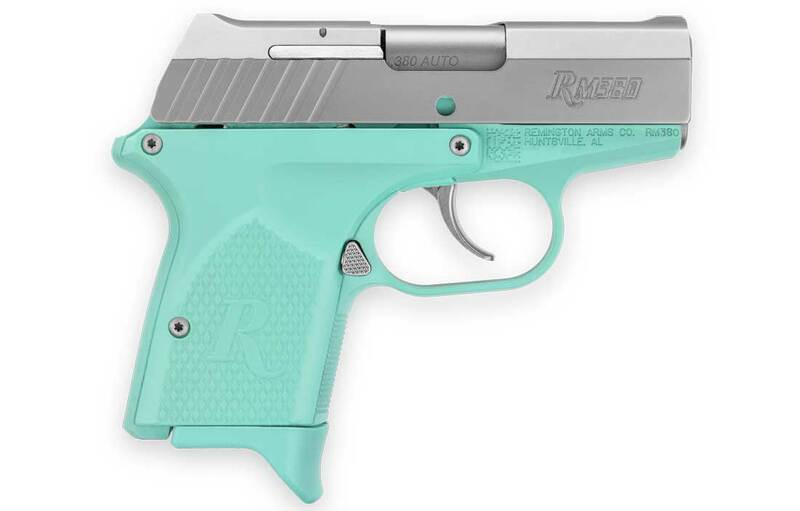 In an attempt to expand the appeal of the line, Taurus will introduce a number of new color combinations in 2019 for the pistols. 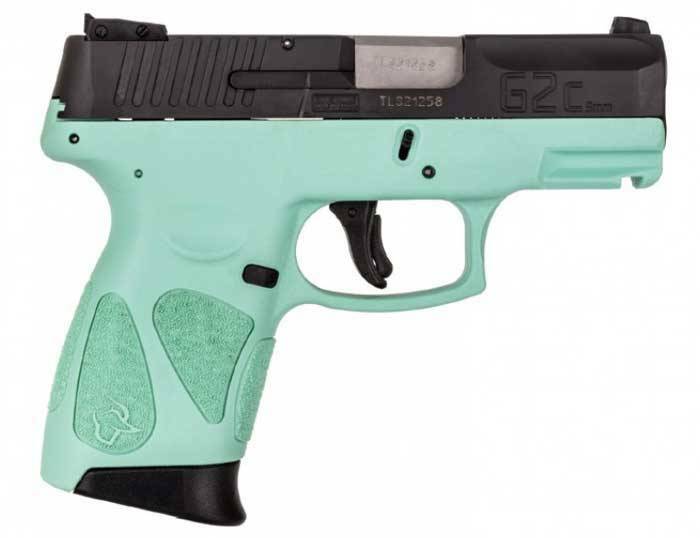 This piggybacks on the company’s history of offering color options for its handguns like the Spectrum. Remington’s RM380 has not been without its share of reported problems on the internet. Nevertheless, it appears to still be popular with many shooters. For 2019, the company is expanding the line to include an Executive version of the gun. Unlike the base model RM380, the Executive has a stainless finish on the slide and laminate grips. 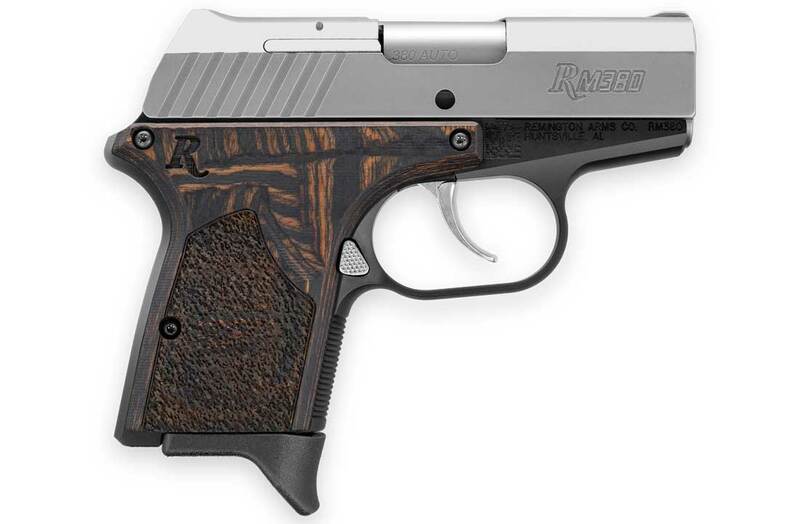 Remington lists the MSRP as $405, which is less than the price listed for the standard RM380. I wonder if we will see an overall price reduction on this line of pistols from the company in 2019. 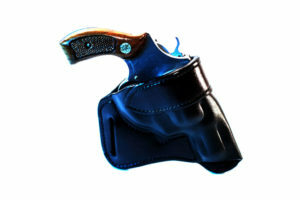 The company will also offer another version of the gun that has light blue grips with a stainless finished slide. 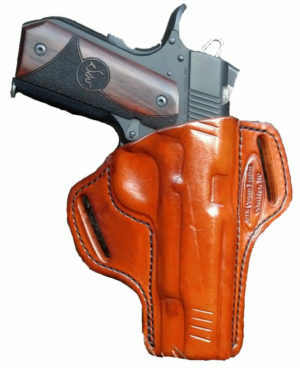 The general color scheme is similar to that used by Taurus on some of its firearms. 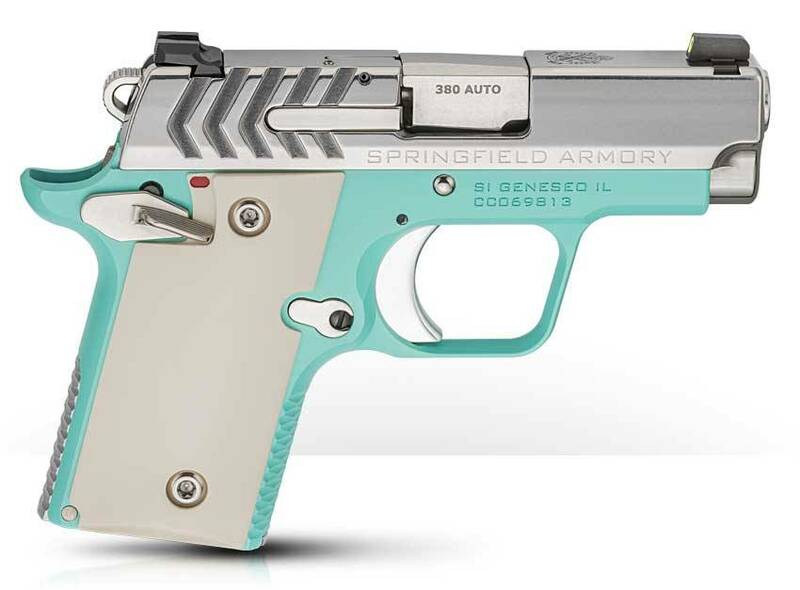 Interestingly, when the light blue RM380 was being developed, Anthony Acitelli was still the CEO of Remington. Acitelli, who reportedly resigned from Remington in November, was the former boss at Taurus USA. While I find it unlikely he was involved in such a small thing, it appears to be an interesting coincidence. 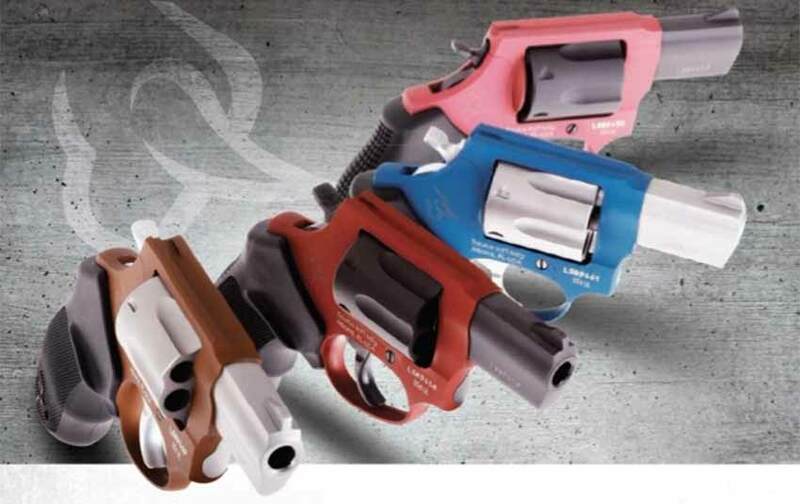 For 2019, Taurus is introducing a number of new frame colors for the 856 Ultra Light revolver. I have confirmed this with a Taurus representative and seen advertising for the new guns. 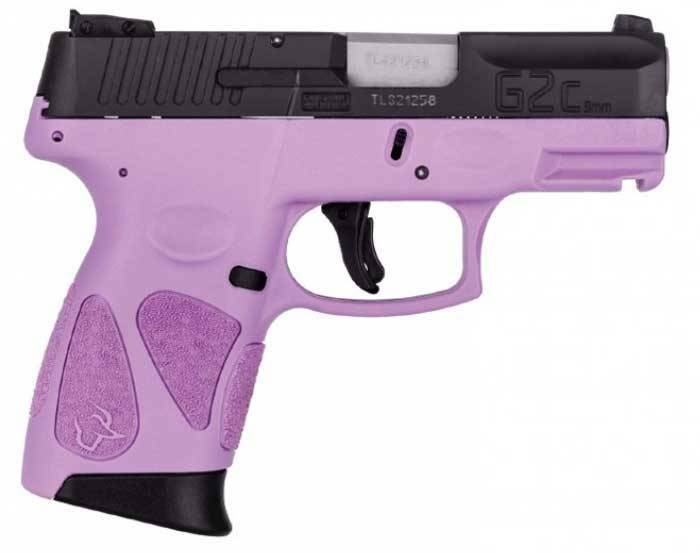 Taurus will offer these in a number of “exclusive color combinations for added consumer appeal.” Taurus seems to be making a heavy push into color variation as a selling point for its new guns. 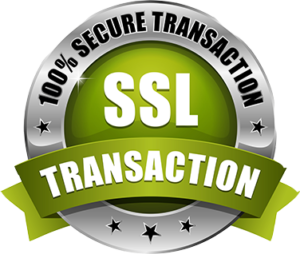 Some of my readers have commented that they own three and four Spectrum pistols despite numerous reliability concerns posted about the guns around the internet. According to the Taurus representative I spoke with, some of the guns have shipped at the time of this writing (December 2018). So, we may see some of these in the stores prior to the start of the show. However, Taurus has not yet made a formal announcement about them. 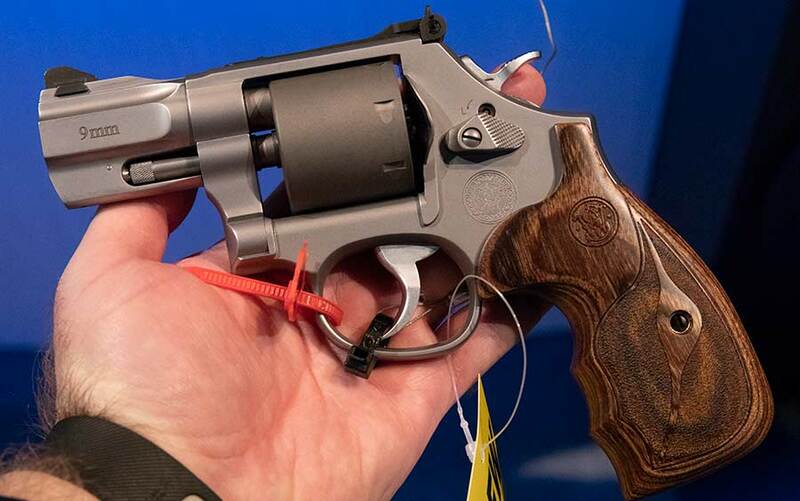 The new wheelguns are an extension of the Model 856 Ultra Lite revolvers that debuted in mid-2018. 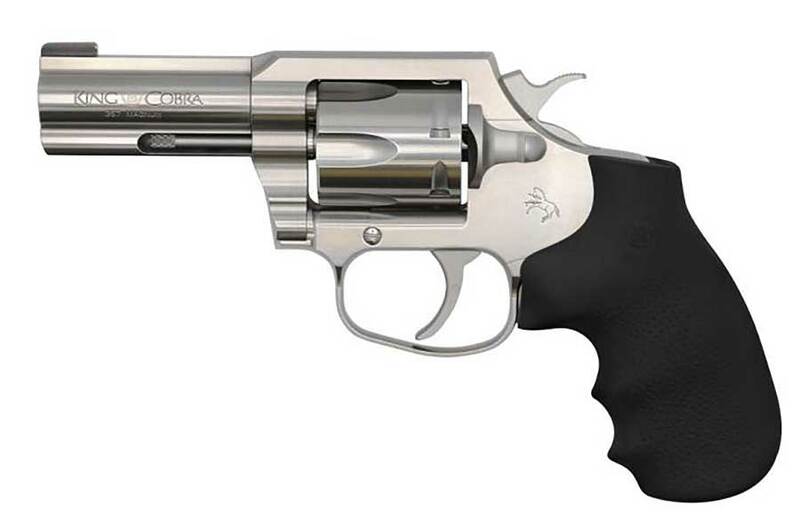 They are significantly lighter than the standard Taurus 856 revolverthat was re-introduced at last year’s SHOT Show: 15.7 ounces vs. 22.1 ounces unloaded. The 38 Special handguns have 6-shot cylinders instead of the five often associated with smaller revolvers. The downside is that they are not +P rated. So, your defensive ammunition choices are limited. 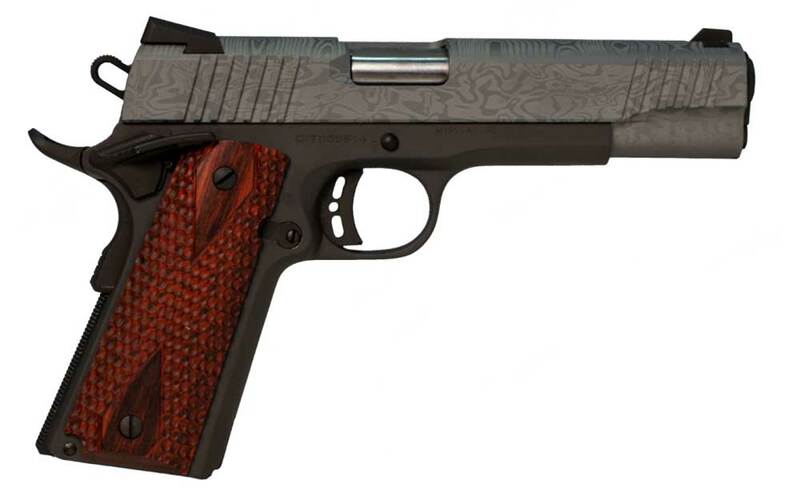 Legacy Sportsannounced it will show the new Madagascar 1911 at the show in January. The new pistol will be available in both 9mm (10 rounds) and .45 ACP (7 rounds) with a Series 70 system. The guns will have 5″ barrels with full length guide rods. While the slide looks like Damascus steel at first glance, it is not. Instead the company uses a gray Cerakote finish with laser etching to give it a Damascus-like appearance. While the real thing would likely look a lot better, I expect that it would be very expensive. 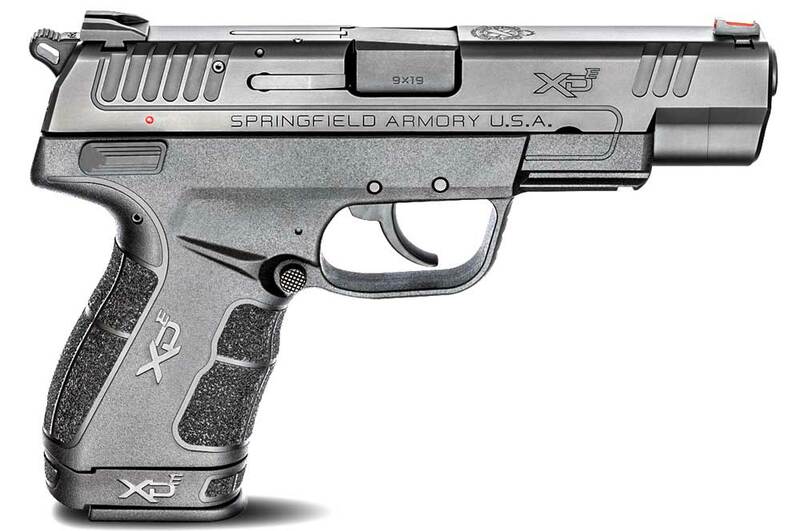 This gun is still affordable with a projected MSRP of $959. DoubleStar announced the ARP7 late in 2018, and it will show the new semi-automatic pistol in Las Vegas. 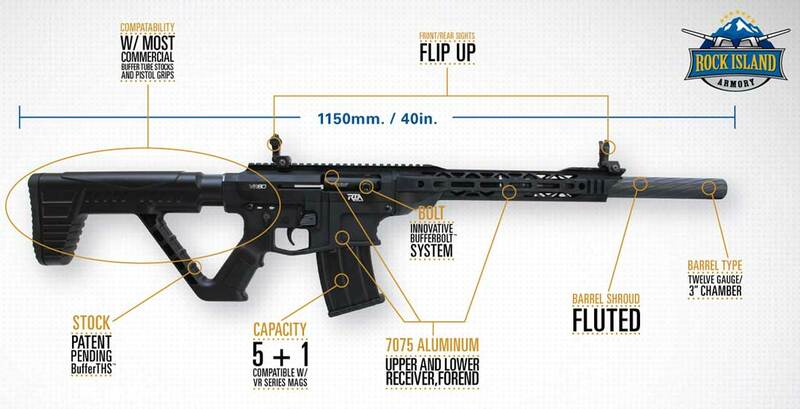 The new gun is based on the direct impingement AR platform and appears to have a number of nice features standard. The guns will be available in 5.56 NATO, 300 BLK and 9mm allowing you to address a wide range of defensive and sporting needs. The 5.56 & 300 feed from standard 30-round AR magazines. The 9mm feeds from a Colt-style stick magazine. All of the calibers come with a 7.5″ barrel with a heavy profile and Big Timber brake. A billet StrongArm pistol brace suggests very solid support – and frankly, it looks good. The short accessory rail uses M-LOK attachment points. Pricing varies based on caliber selected: from $1,299 for the 5.56 to $1,599 for the 9mm. When we find new long guns at the SHOT Show, we will list them here. If we are able to confirm new rifles and shotguns before the show starts, we will have them in this section also. Volquartsen Firearms announced a new version of its Summit bolt action rifle chambered for the 17 Mach2 cartridge. It uses a straight pull action and a carbon fiber barrel. The muzzle is threaded (1/2-28) for a suppressor or other muzzle device. As shown above, the rifle is equipped with a black Magpul stock. However, it can be had with an FDE, gray or OD green Magpul stock, a Hogue stock or a blue lamiate TH Silhouette stock. Pricing starts at $1,135. Based on the company’s 110 platform, the High Country rifle was designed with weight reduction and long range accuracy in mind according to the company. Available in a range of hunting calibers, the 22″-24″ barrels are threaded and spiral fluted. The synthetic stock uses the company’s AccuFit system to adjust both length of pull and comb height to fit the shooter. The barrel, bolt handle and action are all PVD coated, and the stock is finished in the TruTimber Strata Camo pattern. The suggested retail price for these rifles is $1,129 regardless of color. Savage announced the new MSR 10 Precision rifle. The new AR-style rifle is a competition rifle designed for accuracy. Called “complete and ready to compete” by the company, the guns feature 22.5″ stainless steel barrels with 5R button rifling, an 18″ Arca handguard, Magpul PRS stock and an adjustable gas system. The two-stage trigger breaks at 4 pounds. Savage uses the TangoDown Battlegrip that has an adjustable grip angle. Available in three calibers (6mm Creedmoor, 6.5mm Creedmoor and .308 Win), the guns carry a MSRP of $2,499. The MSRP is $699 and it will be offered exclusively through Gallery of Guns until March. JP Enterprises is well known for making quality rifles and parts. One of the latest is the JT-19, a light weight AR-style precision rifle. It is chambered for the 6mm Creedmoor, 6.5 Creedmoor, .260 Rem and .308 Win. Features include a JP Supermatch 416R cryogenically treated barrel with a black Teflon finish, JP Compensator, machined 7075-T6 billet upper and lower, Hogue pistol grip, adjustable gas system, JP Fire Control Package and your choice of a variety of stocks such as the Magpul CTR and LUTH-AR MBA-2. The base price is $2,999. Henry Repeating Arms announced its Long Ranger rifle chambered in 6.5 Creedmoor. This cartridge continues to grow in popularity with more ammunition and firearms being made for its fans. This lever action gun has a free floating 22″ blued steel barrel, chromed steel bolt with 6 lug head, removable 4-round box magazine and a beautiful American walnut stock. The suggested retail price will be $1,066. Smith & Wesson announced the Performance Center was now offering a pair of customized T/CR22 rifles. The collaboration between the Performance Center and Thompson/Center Arms resulted in a pair of .22 LR rifles that have a light trigger pull, heavy contour barrels with button rifling, a threaded muzzle and your choice of an Altamont Laminated Thumbhole stock or a Hogue Overmolded Thumbhole stock. The rifles are compatible with a wide range of Ruger 10/22 parts and accessories and come with lifetime warranties. The Hogue stocked version of the gun will have a MSRP of $497 while the laminate stock gun has a suggested retail price of $616.